Introducing the Model Alliance to New Zealand and raising awareness about the issues we have within the modelling industry within our small nation. For me, the fashion industry offers the perfect balance of business and creativity, but with the rise of the #METOO movement, I have realised that the industry isn’t the same for everyone. Models often have to fight for their safety in an industry that is supposed to grow and nurture their talent. With New Zealand Fashion week coming up in late August, let us re-evaluate the current status of the industry because there is definitely room to improve. 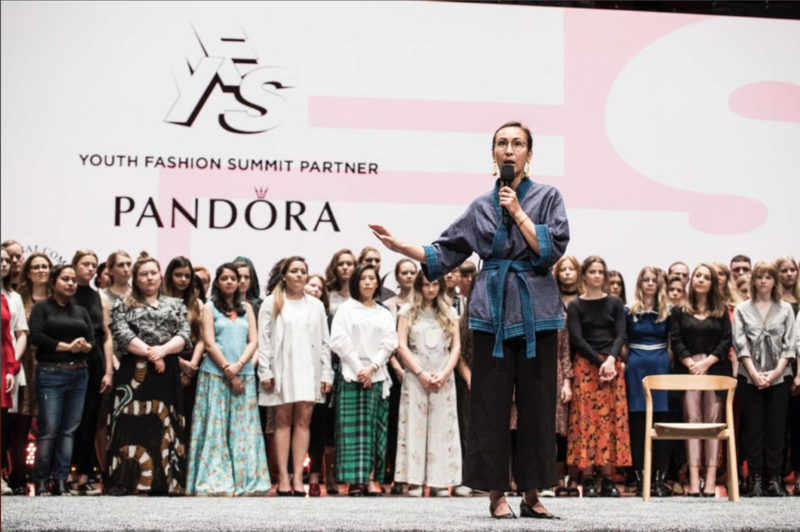 Earlier this year, I was among the 112 students chosen to attend the Youth Fashion Summit in Copenhagen. We were also invited to the Copenhagen Fashion Summit for Industry, where we heard talks from the likes of Levi Straus & Co, Stella McCartney and, my most life-changing one, by Model Alliance (MA). There, I learned about the assault and abuse models face in our industry. In New Zealand, one in three girls is subjected to having an unwanted sexual experience by the age of 16, and. 70% of these incidences are severe. According to RPE statistics, young people between the age group of 16 and 24 are at the highest risk of sexual assault. There are vulnerable adolescences who could be manipulated in the fashion industry, and that is where the Model Alliance comes into the picture—a not-for-profit research, policy, and advocacy organisation in the fashion industry. I believe that signing the Alliance means you are signing for the respect and safety of the people in our industry and allow them to work without living in constant fear. As someone who was assaulted when young and vulnerable, I do not wish it on anyone else. Fashion needs to be taken seriously; we need to respect the models and their work. Many high-end brands in New Zealand seem to believe it is an ‘honour’ for the models to walk for them, but even that is no reason to not pay the models. The Model Alliance is against this discrimination and is against poor working conditions. While working on this article, I contacted a New Zealand model who has been in the industry for four years. She started modelling at the age of 16. “Initially, it helped my self-esteem. I was young, and so to me, self-worth was measured by popularity and social media following,” she says. “So when I started gaining followers and people started knowing who I was in the industry, it boosted my self-confidence. However, that quickly shifted when my agency started pressuring me to lose weight. My agency would keep encouraging me to slim down more and more, and eventually, I ended up with an eating disorder that lasted two years and I became severely depressed. It wasn’t until I matured and found other interests that I began to see what a toxic experience it was, and to this day, I struggle with self-esteem and body issues." The fashion industry is full of pressures—time pressures for designers, weight pressures for models and, overall, the business thrives in things needing to be perfect in a short amount of time. And with such tight deadlines and, sometimes, unrealistic expectations, ethics and safety begin to slip through the cracks. We start to lose sight of mental health warnings. We are no longer living the humble Kiwi life. Today, money and popularity seem to be the driving factors for many of us. In the Youth Fashion Summit, we set out demands and asked the industry to change. I am demanding the same from the New Zealand fashion industry. Agencies, designers, photographers, models, and magazines, I demand you to be transparent with the way you work and join the Model Alliance. I demand food and water be provided on all-day jobs; I demand proper health laws and regulations when it comes to the weight of models, I demand you to all be aware, show your support, and respect these young people who are just as important as anyone else in this industry; and I demand to make a safe place for them to work. If you are a model dealing with discrimination and/or inappropriate conduct, please contact the Model Alliance Support on support@modelalliance.org to report or request assistance. Although they are unable to provide legal advice, if your issues require the assistance of an attorney, they will advise you and can assist in finding you one. And the one thing I did to recover from it! How to dress for 9-to-5 in Winter — stay comfortable and cool.